ECE R90 or Regulation 90 – How does it affect your brake options? European legislation came into effect September 1999 (titled ECE R 90) that requires all brake pads sold for vehicles driven on public roads and manufactured after this date to be tested for compliance against R 90 standards. The test involves making a comparison on all homologated vehicles (not grey imports) used on the public roads within Europe and comparing the front and rear brake performance against the performance of original parts, with the intention of controlling the quality of aftermarket brake pads. The test cycle includes both cold and hot friction testing and compares the performance of the aftermarket brake pads against the original vehicle manufacturer pads, and the results include a code marking system specific to each tested vehicle which must be clearly displayed on the back of the brake pad. EBC Brakes tests its pads for ECE R90 compliance at the VCA (Vehicle Certification Agency) test facilities at MIRA in Nuneaton, UK. MIRA stands for the Motor Industries Research Association who have a high speed test track for conducting these tests which EBC Brakes uses on a regular basis. Furthermore, R 90 requires routine inspections of the aftermarket manufacturers factory to ensure robust manufacturing processes are in place and are being followed. This ensures that every brake pad produced is of the same R 90 compliant formulation as that tested. By a performance brake manufacturers standards however, the R 90 test routine is quite primitive in that it doesn’t test for NVH (noise) and the hot temperature test is limited to 500C. EBC brakes frequently test pads for Police vehicles to 650C and our sport and race pads to temperatures upwards of 750C. For the consumer is that cheap low quality pads are restricted from flooding the European Markets. An R 90 pass does not necessarily signify a ‘good’ sport pad for fast road use. In fact, the ECE R 90 test criteria dictates that the aftermarket brake pad must be “within +/-15% of the friction of the OE brake pad when tested at cold and hot temperatures”. Consequently, R 90 actually restricts the use of very high performance brake pads with a much higher friction coefficient that OE pads, but crucially R 90 only governs pad performance over a limited temperature range (100C to 500C). The performance characteristics of brake pad are therefore not regulated past 500C. Interestingly, the fact that R 90 testing is capped at 500C means that this regulation has no applicability at the high temperatures occasionally reached during fast street driving. For example, a brake pads friction could ‘fall off the cliff’ at 520C but still pass an R 90 test with flying colours. 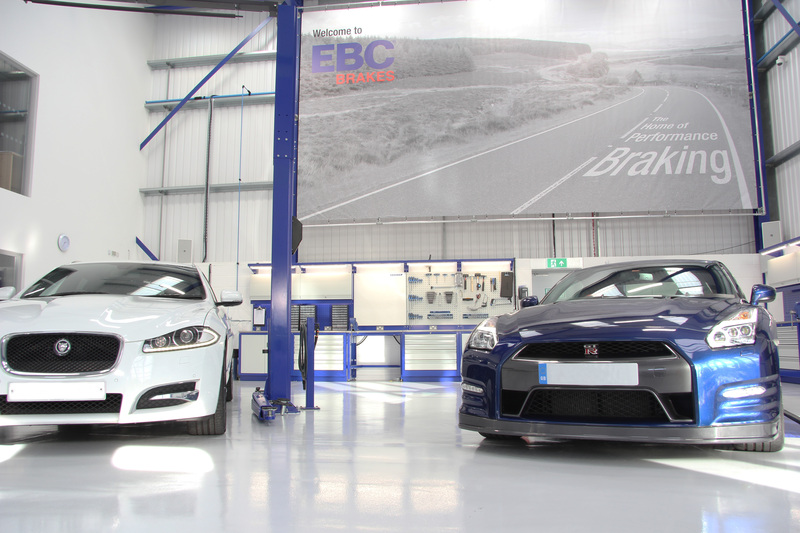 At EBC Brakes we DO test all of our sport range pads to 750C and up. EBC’s GreenStuff, RedStuff and YellowStuff pad ranges are all R 90 compliant yet are all tested to temperatures exceeding the range required by R 90. This is to ensure that all our sport pads perform right up to their maximum designed operating temperatures. The sort of temperatures high performance vehicles will encounter during spirited road use. Because R 90 caps the upper performance of the brake pad to +15% friction at 500C, the ironic thing is that EBC’s new ultra-performance materials BlueStuff and OrangeStuff compound are actually deemed ‘unsuitable’ by R 90 for road use on most vehicles, despite the fact that our laboratory dyno testing and extensive road trials indicate that both of these materials are actually fantastic materials for fast street driving. OrangeStuff for example has superb bite from cold, low NVH characteristics (no noise) and exhibits an extremely low wear rate for both the pad itself and also low wear on brake discs, yet when pushed on track it has ZERO fade right up to temperatures exceeding 800C. OrangeStuff really is the perfect all-rounder then, and it doesn’t suffer from any of the plagues that most semi-metallic and metallic ‘full race’ pads do, such as NO cold bite, lots of noise, little pedal modulation or braking feel, not to mention they absolutely shred through cast iron brake discs. 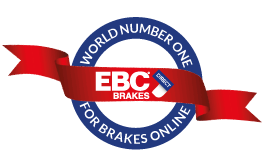 In reality, EBC know several drivers that run BlueStuff and OrangeStuff brake pads all the time on their cars, both on the track and on the road, and they are all extremely happy with their performance and their good ‘road manors’. However, and here is the important bit, most Blue & OrangeStuff brake pads are NOT legal for road use as they do not have R 90 certification and therefore EBC can only offer these pads as a ‘track only’ option. Anyone choosing to run non R90 approved brake pads on the street is breaking the law and anyone using these pads on the street does so entirely at their own liability. What happens if I use a brake pad that is NOT R 90 approved on the street? In the UK If the pads you install are not R 90 approved you risk invalidating your insurance in extreme cases such as in an accident. In Germany however, during your mandatory annual TUV test your brake pads will be checked for road legality and vehicles fitted with non R 90 marked pads will not be allowed to return to the public road. Outside Europe however R90 doesn’t matter at all. Also, for track driving R 90 does not have any applicability either. So the decision is entirely yours if you choose to use a non R 90 pad on the road. But remember that any modification you make to a vehicle has insurance implications and in the case of R 90 it could render your car as illegal. But beware, just because Blue & OrangeStuff are race pads and exhibit good road manners, this does not mean that EVERY race pad is usable on the road. As mentioned earlier, the vast majority of ‘full race’ pads are entirely unsuitable for the road and installing them would be frankly dangerous. 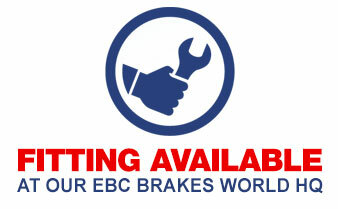 EBC Brakes are a world leader in organic friction materials and this is the reason our sport and race grade brake pads exhibit excellent performance both on the road and the track. If your vehicle is not going to be used on track then a set of EBC’s GreenStuff or RedStuff sport pads are the perfect balance between cost and performance. For those driving higher performance vehicles hard on the road and occasionally on the track, a set of EBC YellowStuff is the best option and these pads also DO have R 90 approval and are therefore perfectly road legal. That leaves EBC’s ultra-performance Blue and OrangeStuff grades for drivers who push their vehicles to the limit on road or on track. These materials don’t have R 90 approval (apart from a small range of BlueStuff pads which do) but the levels of performance offered by these materials is undeniable. If in any doubt always opt for a brake pad clearly marked on the back with an R 90 pass number if your vehicle is to be used on the public road.